You can access the iPad's camera from within the app, shoot video and it will automatically add it to your book (just tap + and then tap Camera). But what if you want to use an existing video from somewhere else? Book Creator imports videos from your iPad’s Photo Library. For video recorded using your iPad’s camera just select them from your Photo Library exactly as you would for an image. If you have video on a desktop computer that you would like to add to your book, you can sync the videos to your iPad using iTunes. To do this connect your iPad to your computer and then in iTunes ensure the Photo syncing options include your videos. You can now grab video directly from the Files app on your iPad. 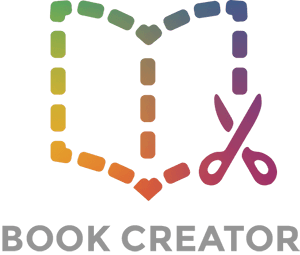 See this method for importing files into Book Creator. With your video added to your book, you can move it and resize it just like any other element. Note, you'll find that you cannot move the video right to the edge of the page (a red border will appear) - this is because there needs to be space for users to be able to turn the page when viewing in iBooks. You can also change the video’s Poster Image. This is the default image displayed in your book when the video is not playing. Book Creator will import your video in Apple’s Quicktime format which is great for most needs. However, if you plan to submit your book to Apple’s iBookstore then you will need to convert your videos into M4V format. You can do this by bringing up the video inspector, and choosing Format. If you would like to use different settings for video compression you can easily replace the M4V files in your final book with ones you have compressed yourself. To replace the files you will need to edit the exported ePub file following the instructions in How to manually edit an ePub file. Inside the ePub folder look for files with the .m4v extension and replace them with files of exactly the same name, ensuring your video meets Apple’s requirements for M4V files.